It's very rare that I buy something impractical in the name of fashion. I have limited space, I don't have a magic money tree and I've often found that I tend to regret my fashion risks more than I look back on them fondly. 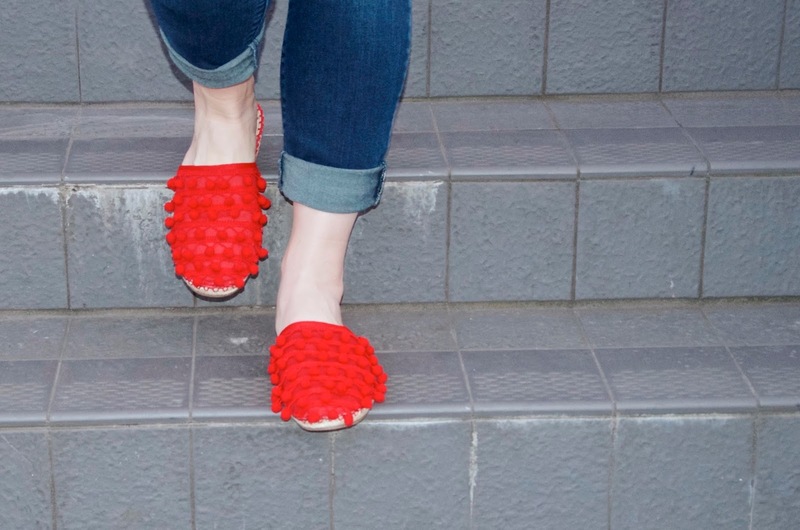 That said, I saw this pair of red pom-pom mules from River Island on ASOS last week and I didn't even think about it long enough to talk myself out of them. It was love at first sight and I just knew they had to be mine. I clicked add to basket without even looking at the price tag, which as it turns out is very reasonable, and anxiously awaited their arrival. When they came, they were just as wonderful as I expected - no, they're actually better. 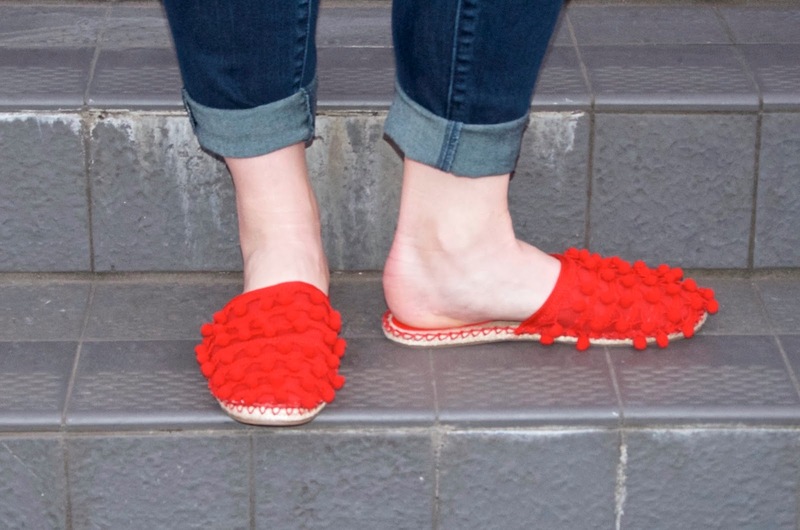 These adorable slides are like thin espadrilles on the bottom with a canvas top and little pom-pom baubles dangling. They have movement, they're bright and they're super comfy, not to mention that they are officially the most fun pair of shoes I own now. I can already tell that these little darlins will be my go-to kicks this summer. I can't wait for warmer weather when I can test drive my new sliders with cute dresses and shorts. 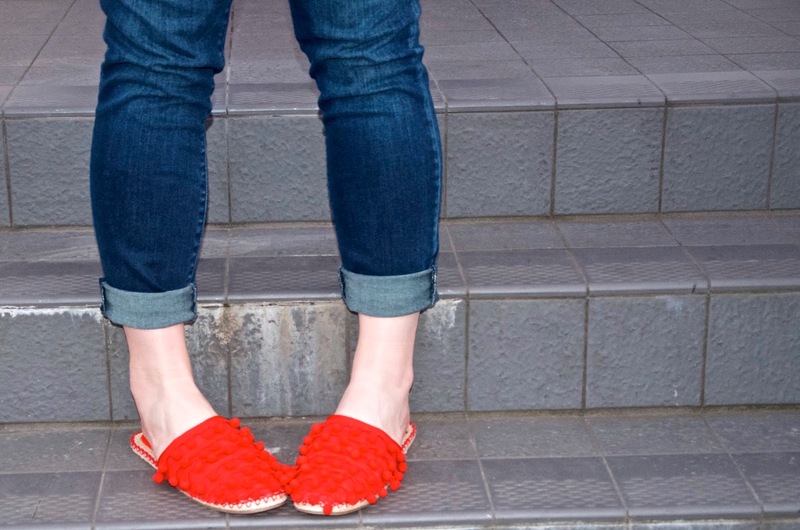 For now, I'm settling for unpredictable weather which mostly means playing a challenging game of dressing to suit Mother Nature's mood, but I love pairing my ruby slippers with rolled up jeans or black leggings for a little pop of red. 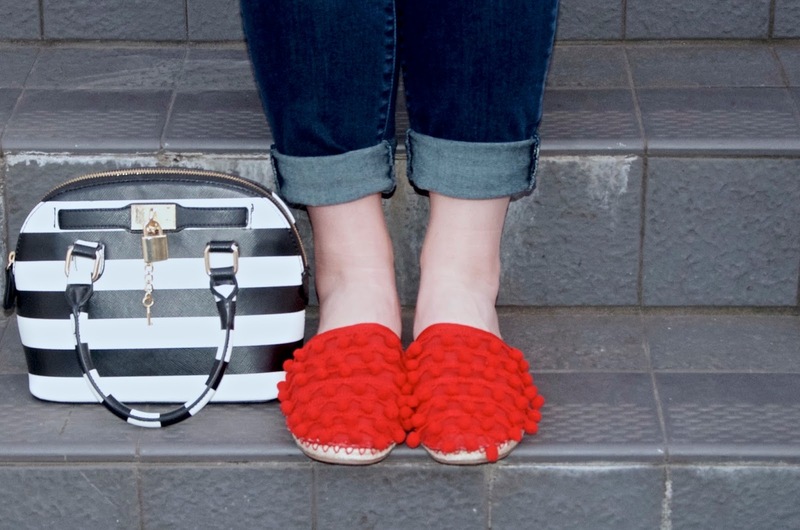 The River Island Pom Flat Mules are just £28 and they come in both red and black. Find them online at ASOS in red, in both colours at River Island or simply click the images below to shop directly.